The above picture taken in 1905 looks north across the bridge and Station Road towards the station from roughly the Pill Box location. The entrance to Parks Field and the gates to the station remain in same location. A troop of gunners (4th Lancashire RGA) are making their way on horseback from their camp on Parks Field with their gun carriages and artillery probably to firing practice on the North Parade. 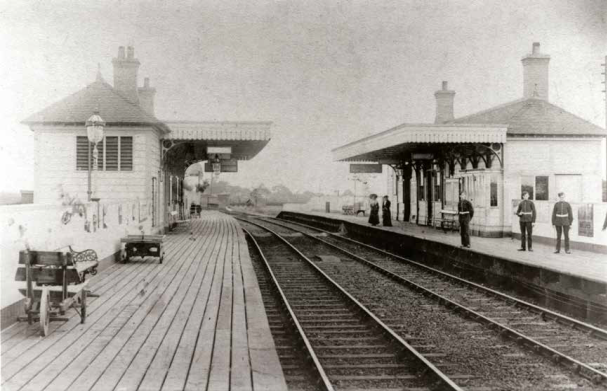 This picture shows Parkgate Station situated at the bottom of Parks Field and opened in 1886. There was a previous station located on what is now the Rope Walk car park (on the South side of Station Road). When the new station was built this area became a goods yard which supported the Neston coal mine. This site is now part of the Wirral Way Country Park. From here you can ride, walk or cycle on the Wirral Way as far as West Kirby in one direction and to Hooton railway station in the other. In the grounds of the old station is an old pill box, a remnant from the 2nd World War. It was built in 1940 to protect the former railway bridge, which then spanned Station Road, and to halt any enemy advance, should the Germans drop paratroopers on the Dee sands. 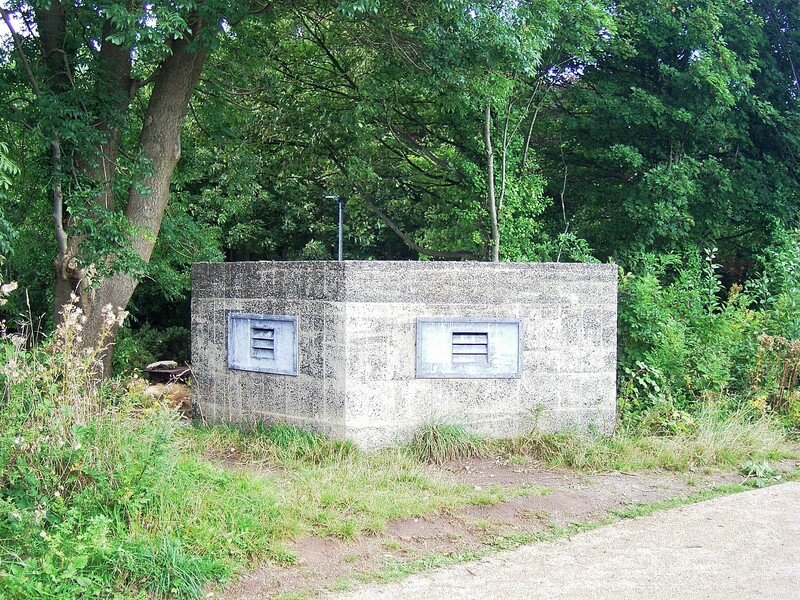 The pill box has now been converted into a wildlife haven for bats.